Sincere. Thoughtful. Funny. Emotional. This is how I would describe celebrating the amazing wedding of Kristine & Chris. After photographing hundreds of weddings over a span of 15 years, it still makes me excited to witness celebrations as thoughtful as theirs...especially documenting the emotion of the day — when there's literally not a dry eye in the room:) Held at the gorgeous Rosewood Hotel Georgia . Wedding Planners: Modern Mint Events. Florals by Sunflower Florist. Linens by Infinity Luxury Linens & Decor. Make up & Hair by The Love Team. Cake by Nicole. Finally, after being away and getting over some very (very) bad jet lag I am happy to kick off our first 2016 blog post with one the most fun-loving & beautiful couples, Carolyn & Roger. 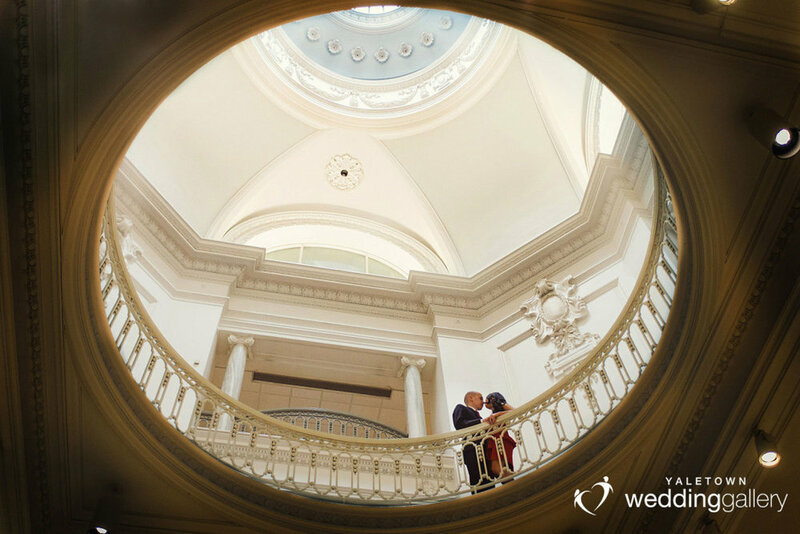 For those who recall, Roger was my very first assistant when I started shooting weddings. And I have known both Carolyn & Roger for many years so it was such an honour for me to share in this important day with them:) The two-day wedding started off with a wedding ceremony at the Canadian Memorial Church followed by photos with the couple and their bridal party at UBC. 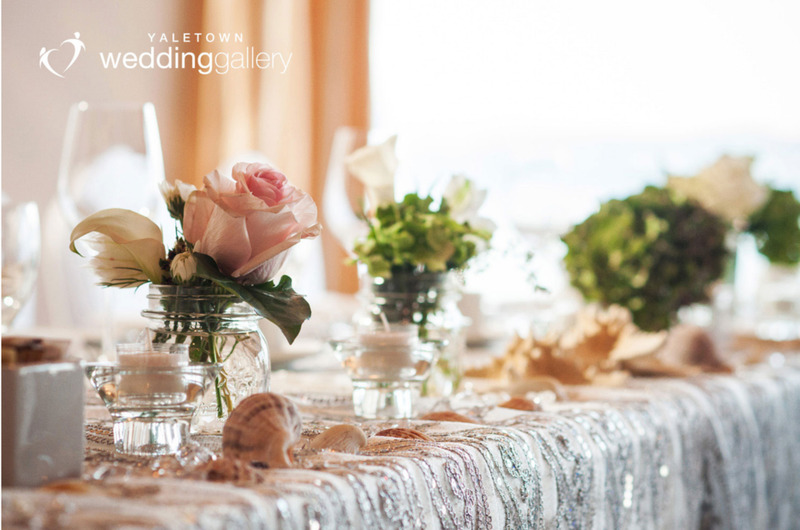 Day two was the wedding reception held at the Royal Vancouver Yacht Club. 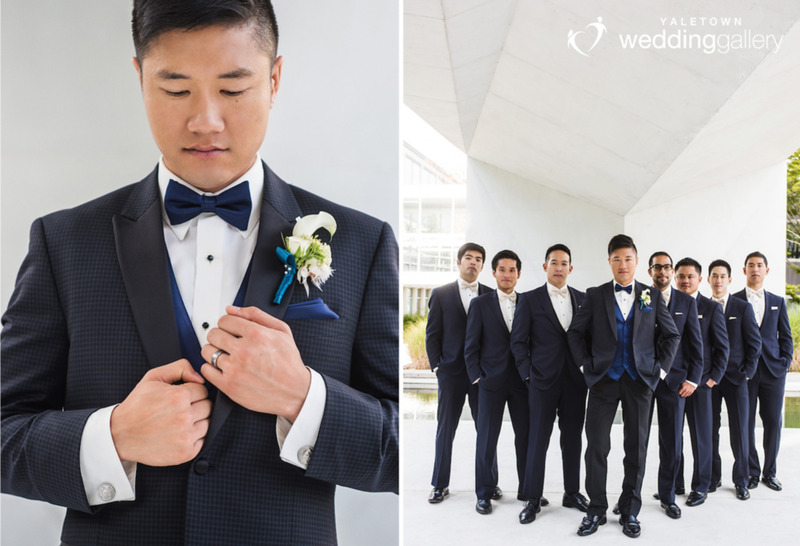 All six groomsmen received custom cufflinks, each catering to their personalities or interests. My personal favourites would have to be the replicate 20 cent coins from Hong Kong- so cute! Following the ceremony we left for UBC for photos. 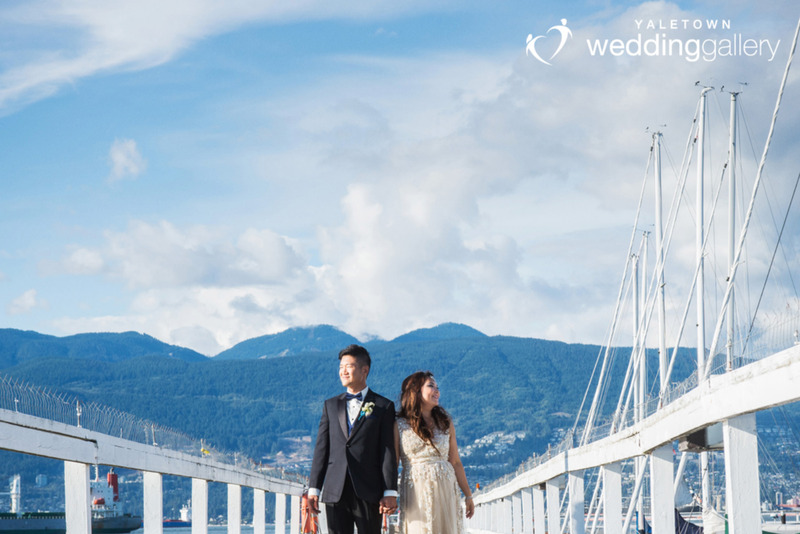 UBC has some of the best locations for photos, with amazing architecture & backdrops. 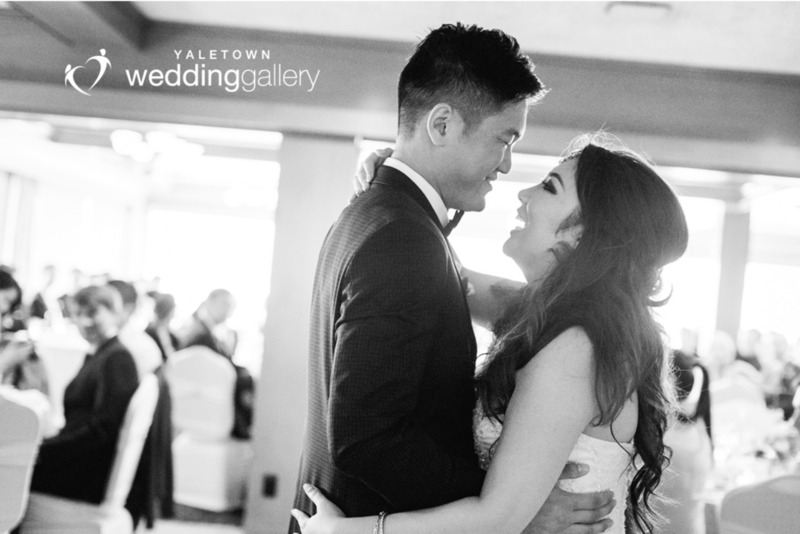 But most importantly, Carolyn & Roger chose UBC for their photos mostly for sentimental reasons, having met there and having spent a good chunk of their time there while in University. Day Two found us on on the docks of the Royal Vancouver Yacht Club and we couldn’t have asked for a more glorious day! 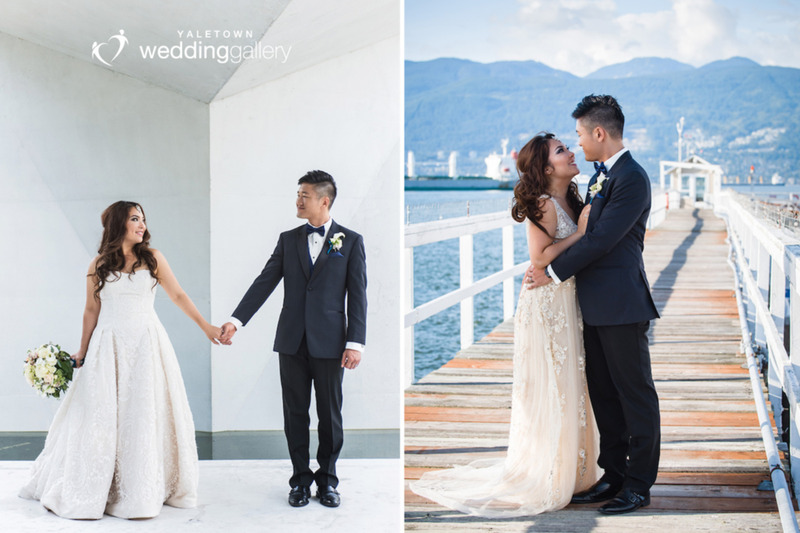 The hints of nautical blue in the dresses & suits along with the stunning Westcoast mountains & water definitely added to our nautical look. We just loved it and even we came dressed in blue that day to blend in with the rest of the loveliness! The evening was filled with lots of entertainment, from fun games on Rogers and then finishing off with Carolyn performing a song for Roger. She has such an incredible voice, so much so one of the staff at the Yacht Club even asked for her autograph!! All very fitting for these two incredibly talented and amazing people:) I couldn’t have been more thrilled to be there to capture all the fun moments. Congratulations you two!